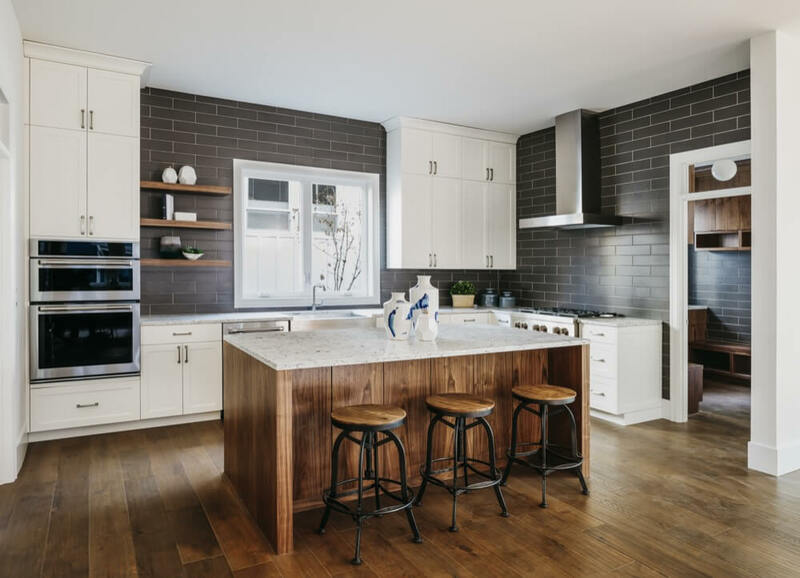 They say kitchens sell houses so investing in a kitchen renovation will not only provide you with an amazing new space to share with family and friends, but also add considerable value to your home. More so than any other area of the home, renovating your kitchen can significantly improve your lifestyle and make your daily routine more enjoyable. With a beautiful and functional space to work in, meal preparation is easier, more pleasant and there’s more room for everyone to get involved. Properly designed drawers, cupboards and shelves also mean food, appliances and cookware can be better displayed and easily accessed. With the kitchen forming the heart of every home, this is a space where family members come together, not only to share food, but to reconnect and spend time with each other. 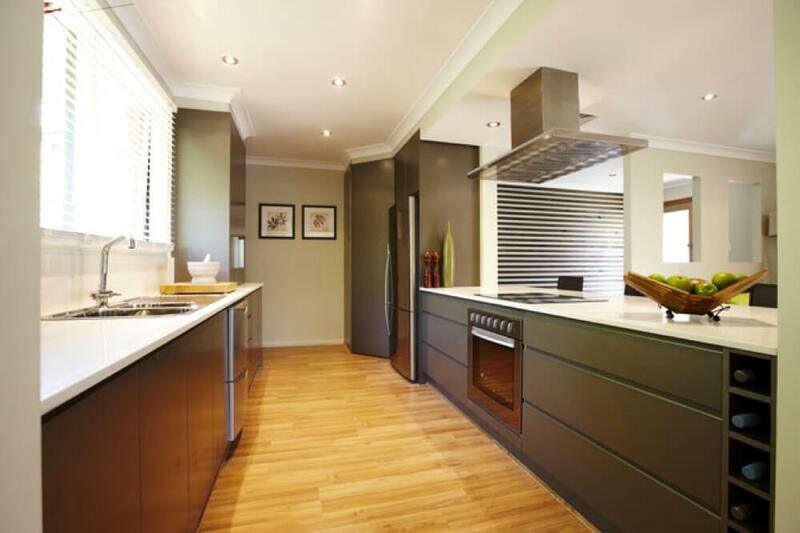 Sydney Styles Bathrooms and Kitchens can have you enjoying your beautiful, new kitchen at a price you can afford. 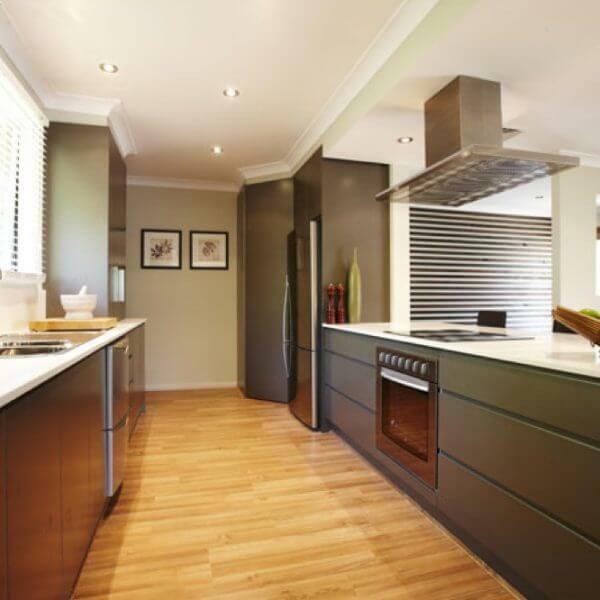 Complete kitchen renovations including design, demolition, installation and management of all associated trades. Expertly designed kitchens including 3D digital plans, so you can clearly visualise the end result. 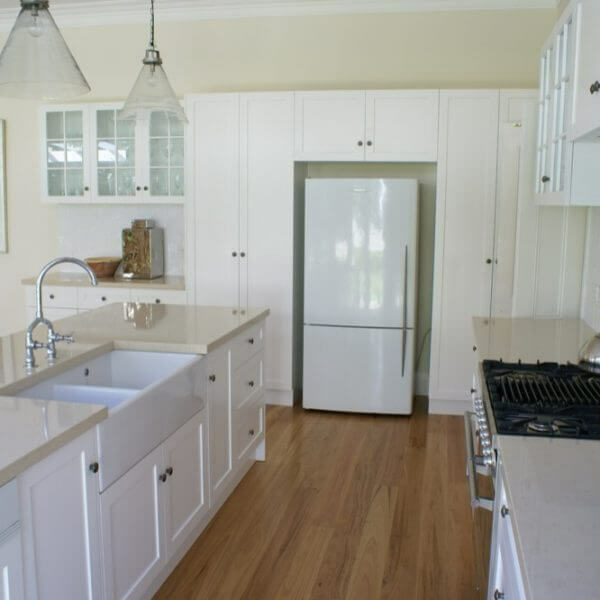 Cleverly designed and custom-built cabinetry and bench tops. Coordination of all required plumbing and electrical services. Supply and installation of tiles and kitchen splash backs. Supply and installation of kitchen appliances such as ovens, cooktops, fridges, dishwashers, rangehoods and coffee machines. Supply and installation of sinks and tapware. 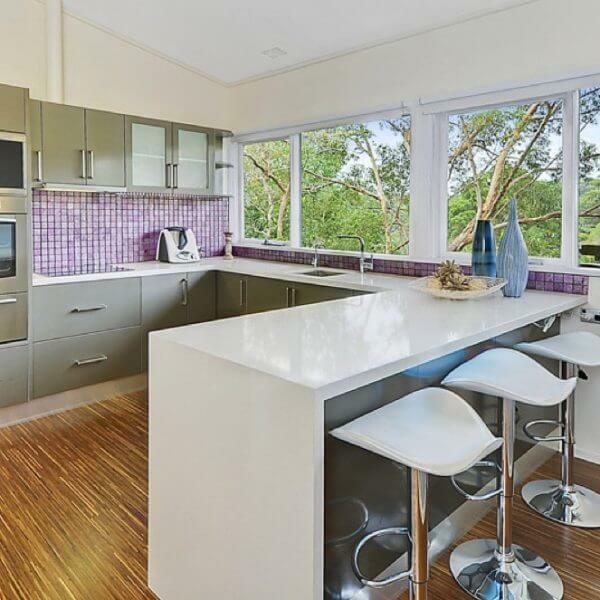 Expert advice on kitchen design, materials selection and appliances. 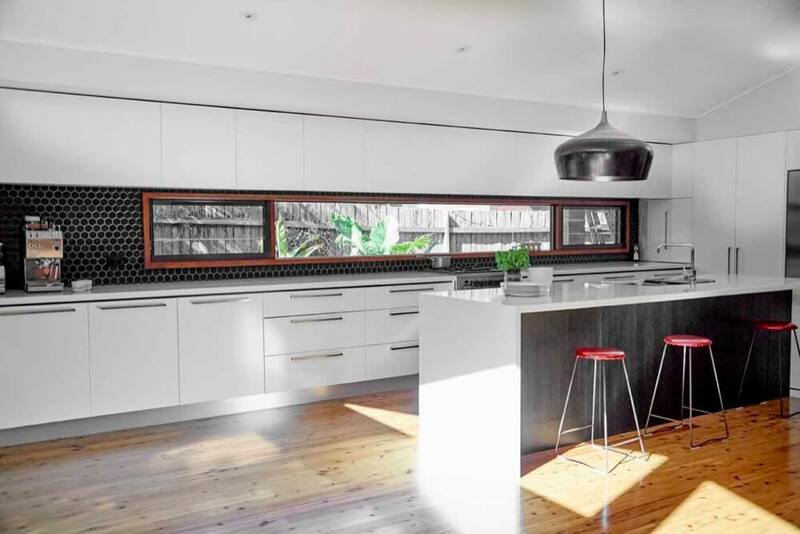 At Sydney Styles Bathrooms and Kitchens, our qualified kitchen designers will take the time to really understand your lifestyle, goals and budget. We’ll work with you to take the stress out of designing your new kitchen and offer expert advice on the pros and cons of the myriad of different materials available. Regardless of your budget, we’ll help you select the highest quality fittings, fixtures and accessories for your new kitchen. Whether you’re interested in contemporary or traditional designs, budget, mid-range or high-end, you’ll get the right advice to ensure your kitchen space delivers the functionality you need and the look you want whilst seamlessly integrating into your home. 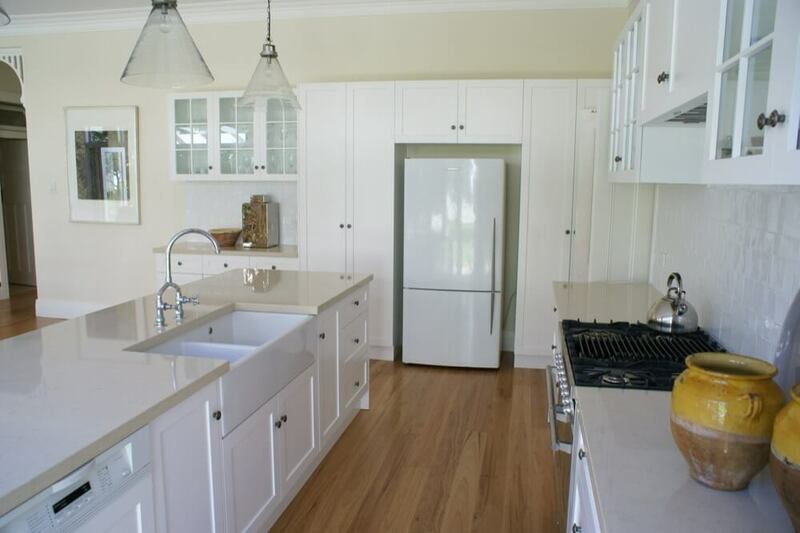 Sydney Styles Bathrooms and Kitchens’ custom-built cabinets will ensure your new kitchen achieves maximum functionality and a professional looking finish. 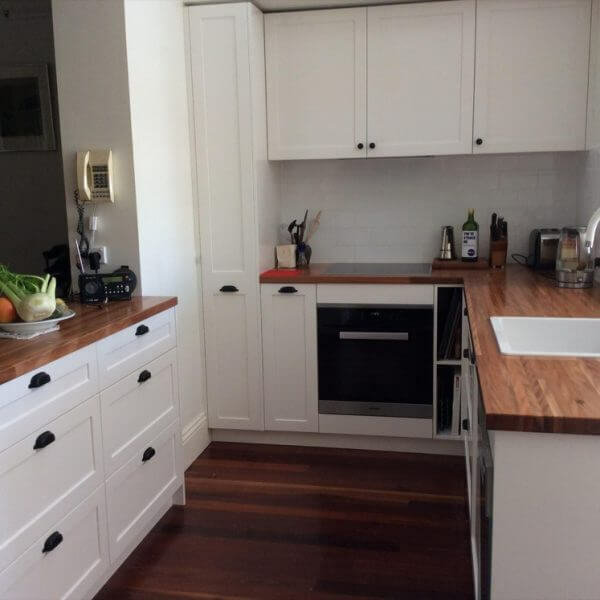 Our cabinets are manufactured in NSW to Australian standards and are backed by our 10-year written guarantee and lifetime manufacturer’s warranty on hinges and runners. Experienced with both contemporary and traditional designs, our qualified cabinet makers work with a variety of finishes including Polyurethane, Laminate, Melamine and Timber from quality suppliers such as Polytec, Laminex, Formica and Wilson Art. We also install the highest quality and best value hardware from manufacturers like Blum, Hetttich and Lincoln Sentry. 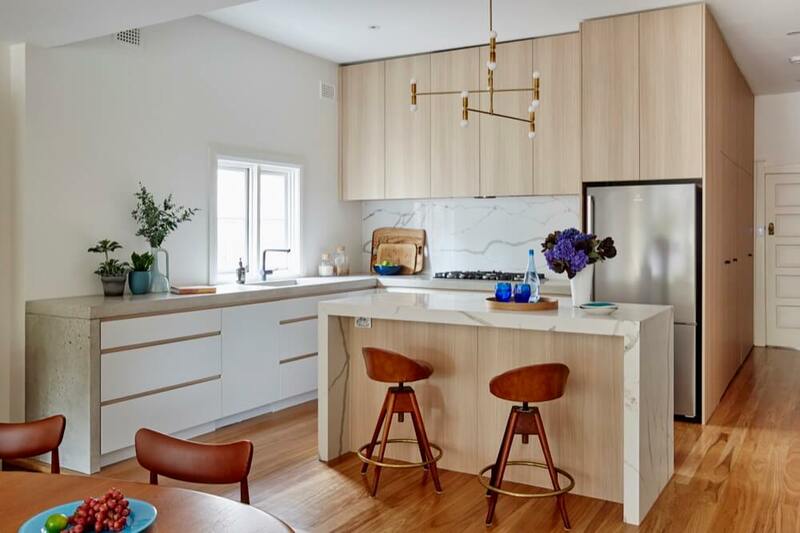 And with such a wide variety of options to choose from, the Sydney Styles Bathrooms and Kitchens’ experts will guide you every step of the way to ensure you select cabinetry that is most suited to your lifestyle and budget. Deciding on the material for your new kitchen benches can be daunting. 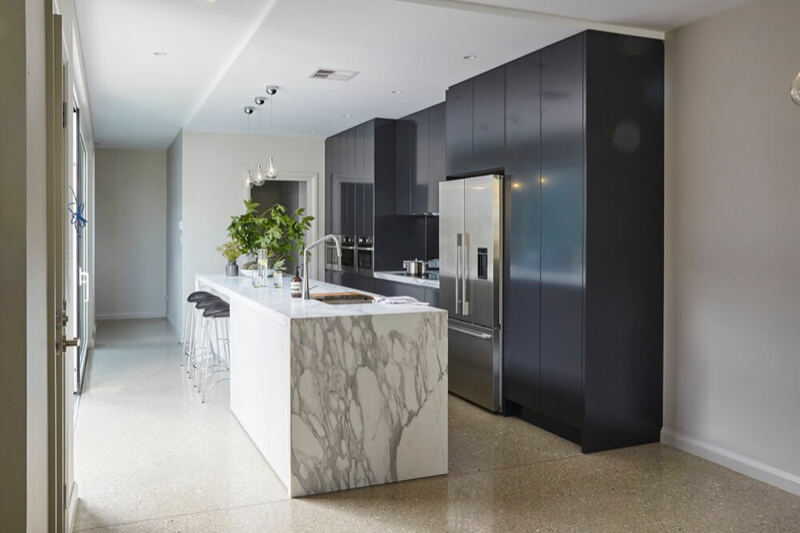 With marble, granite, engineered stone, timber and laminate all popular choices, it can be difficult to understand which material will work best for your lifestyle. 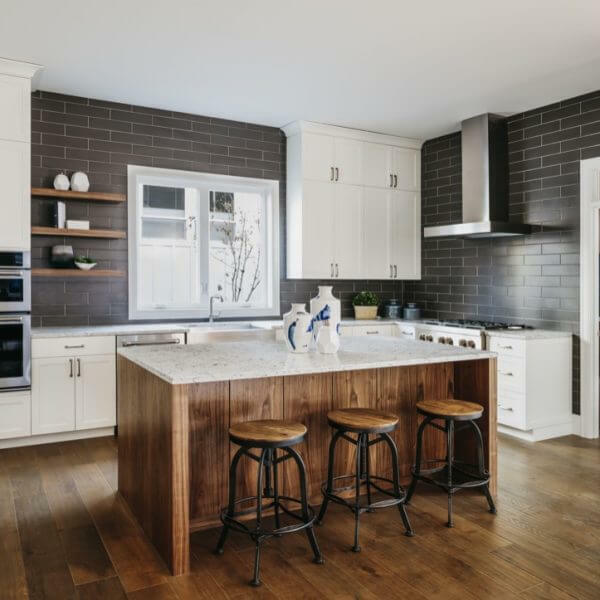 At Sydney Styles Bathrooms and Kitchens, our qualified designers will take the time to explain the differences between the various options and give you an understanding of the benefits each one offers. We’ll also make sure your colour selections work well with the cabinetry you’ve chosen to complement the rest of your home. 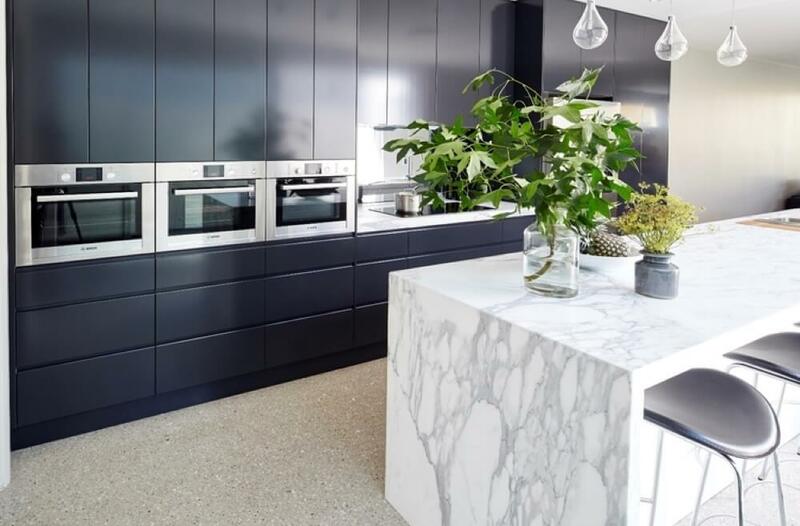 Our relationships with reputable suppliers such as Caesarstone, Smartstone, Quantum Quartz, Cosentino and Laminex mean you’ll not only get the right advice but the best possible prices. Your kitchen splashback not only protects your walls from heat and grease but can make a real statement in your home. 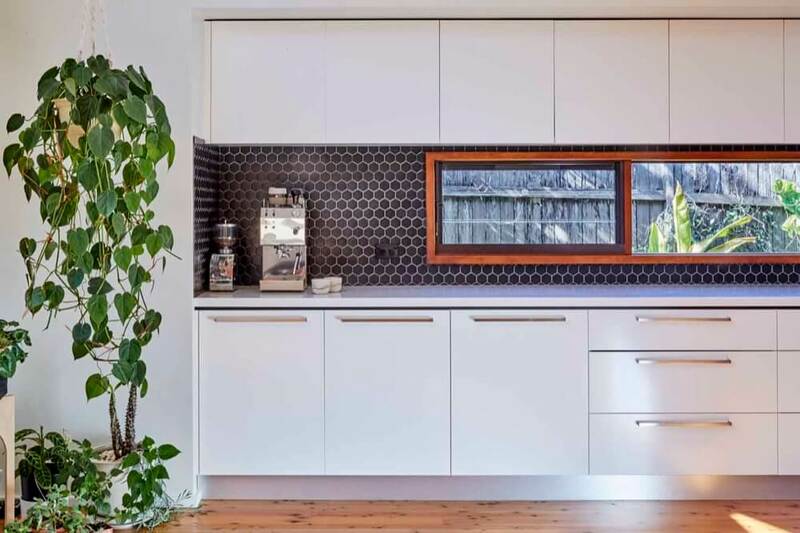 Whether you’re considering marble, tiles or glass, the designers at Sydney Styles Bathrooms and Kitchens will help you select a splashback that is functional whilst achieving the look you’re after. 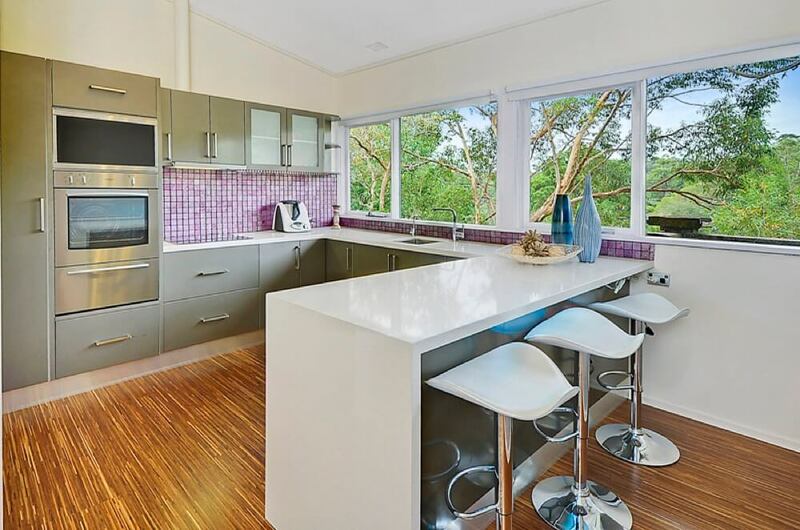 Having managed hundreds of kitchen renovations, we’ll ensure your splashback is professionally fitted and meets the Australian standards for quality and safety. The days of one stainless steel kitchen sink are well and truly past with a myriad of sink styles and colours now available. From traditional, farm-house style sinks through to sleek, black granite, your kitchen sink has the ability to be a show-piece in its own right. With many different configurations available, you’ll need to decide how many bowls you need and which size will suit you best, whether you want a drainer, whether you prefer a top-mount or under-mount sink and if you need an additional sink elsewhere in your kitchen, such as in the island bench or pantry. Sydney Styles Bathrooms and Kitchens works with many sink manufacturers so can offer you traditional, budget options right through to the top designer brands. You can rely on our staff to help you navigate the options and arrive at the best choice for your needs. Your kitchen tap is likely to be one of the most used taps in the house, so you’ll need it to be functional and durable as well as stylish. 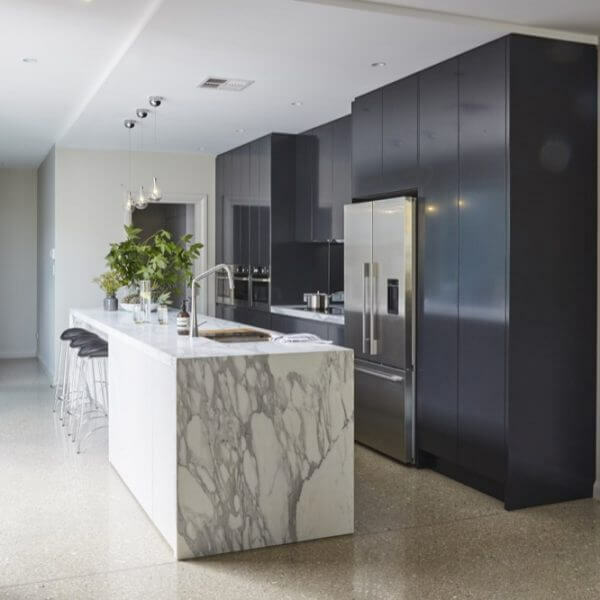 At the Sydney Styles Bathrooms and Kitchens’ showroom, you can browse through hundreds of options and discuss the benefits of various styles with our knowledgeable staff. From basic chrome mixers through to stainless steel, pull-out and coloured taps, our trade-only pricing from companies such as Caroma, Clark, Oliveri and Phoenix Tapware will ensure you’ll get the best price on which ever style you choose. Having the right, well-chosen appliances in your kitchen can significantly improve your ability to create amazing meals and make light work of the cleaning up after. 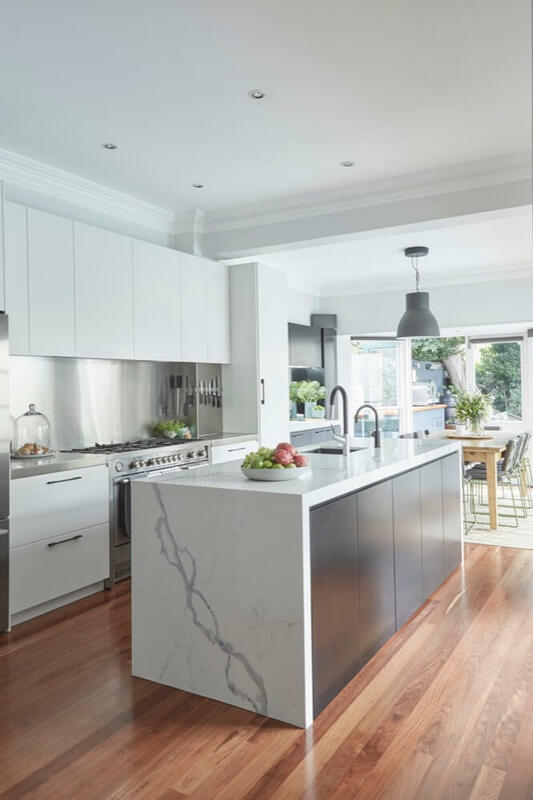 At Sydney Styles Bathrooms and Kitchens, we’ll take the time to understand your lifestyle, the type of food you like to cook, the size of your space and your budget. Our staff have a wealth of knowledge around all sorts of kitchen appliances including gas and induction cooktops, traditional, steam and pyrolytic ovens, dishwashers and dish drawers, rangehoods, fridges and coffee machines. With highly competitive prices on quality brands such as Westinghouse, Omega and Chef, we also offer great value packages which deliver bigger savings. 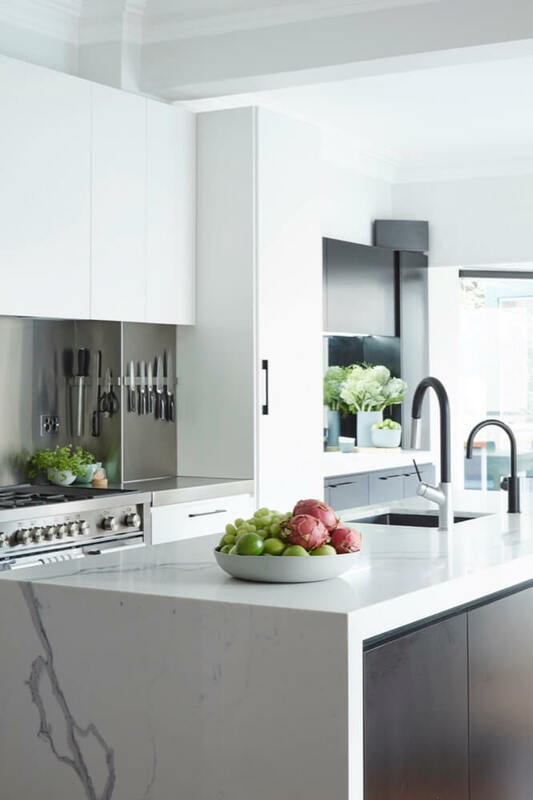 Sydney Styles Bathrooms and Kitchens offers a huge variety of stylish and functional accessories that will make spending time in your new kitchen more enjoyable and convenient. For example, items such as cupboard carousels, paper towel dispensers, cabinet handles, waste and recycling bins, tea towel rails and drawer organisers may all be items you haven’t given much thought to. Our staff have considerable knowledge around all the accessories you are likely to need and how to correctly install them to deliver the maximum benefit. If you require new kitchen or laundry cupboard doors, either as selective replacement for existing doors which have been damaged, or to refresh the look of your space, we’re happy to help. Our qualified cabinet makers have experience working with Polyurethane, Laminate, Melamine, Timber and Vacuum Form and can assist you with colour matching as required. 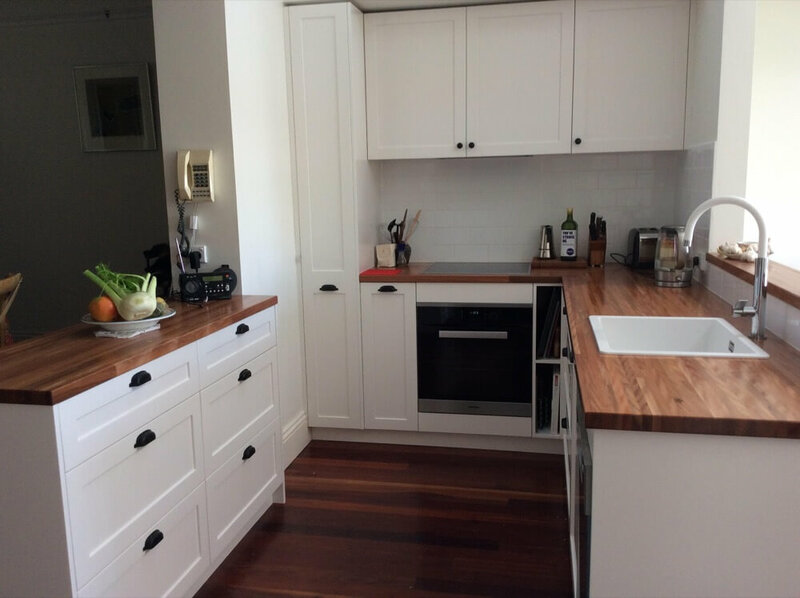 Whether your style is modern or traditional, Sydney Styles Bathrooms and Kitchens can service all your cupboard door requirements. 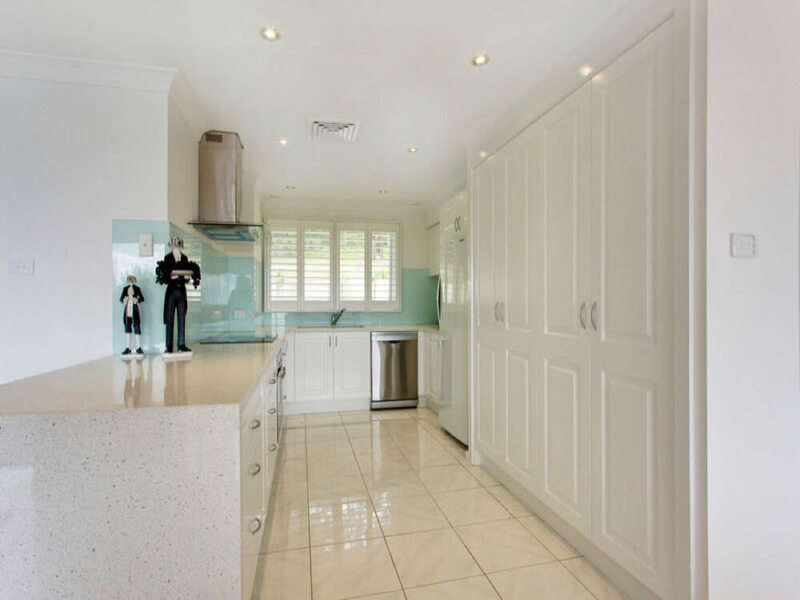 Sydney Styles Bathrooms and Kitchens specialises in creating stunning bathroom, kitchen and laundry spaces at exceptional prices for Sydney’s north shore customers. Having been in the industry for most of their working lives, our people have a wealth of knowledge and experience to bring your bathroom, kitchen or laundry vision to life for less than you’d expect.